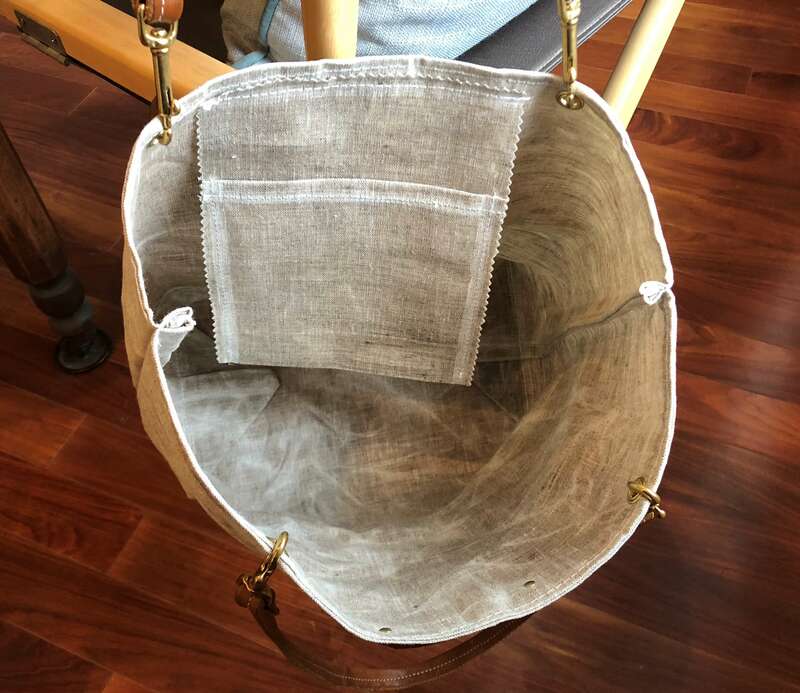 Bees Waxed Linen Handbag with Leather Straps. Perfectly imperfect bag that will quickly become your new favorite accessory. Free Shipping! 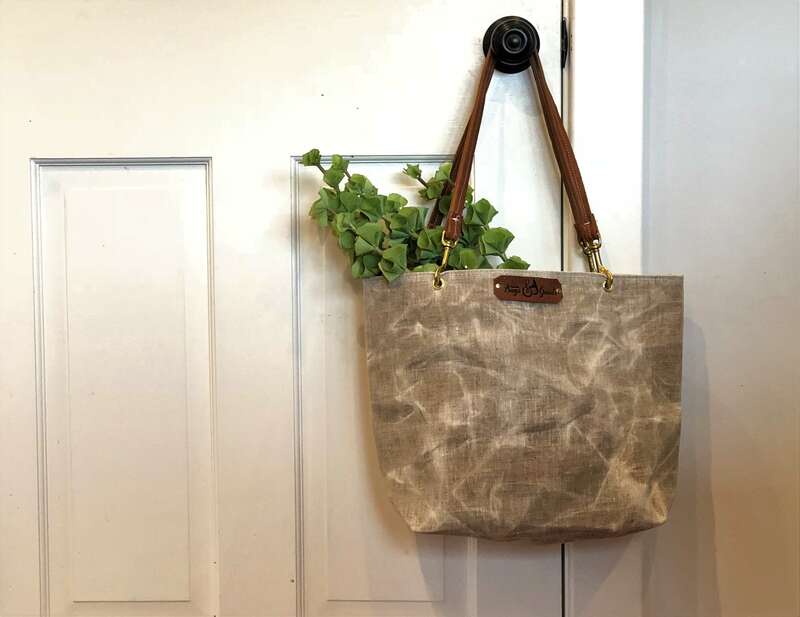 Living on the coast of Maine, I have been dreaming of creating a stylish, water repellent bag; one that is gentle on the environment and can replace the use of plastic bags but also rugged and can be cleaned in a snap. About a year ago, I found a company that hand waxes linen with natural bees wax, and I quickly fell in love! I have now started the Beehive Collection and am excited to roll out the first 2 bags. But don’t be fooled by it being linen, it is not just for summer! This is definitely a year round bag! This is the City Bag – it is perfect for strolling around the outdoor markets, collecting flowers, beach combing or small grocery shopping. It is water repellent and can be cleaned with a damp clothing or rinsing. Since it is bees waxed fabric, it is highly recommended that you do not use soap, machine wash or dry clean – this will remove the waxed coating. 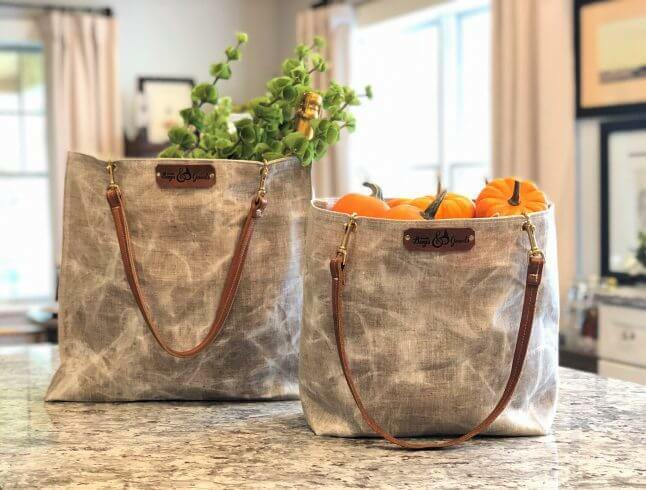 Hand sewn in my Maine Studio, it is double linen fabric that is stitched with heavy upholstery thread, has beautiful interior french seams and 1 pocket. It is finished with 2 rugged leather straps that are attached to brass snap hooks and a leather logo tag that is attached with 2 rivets. 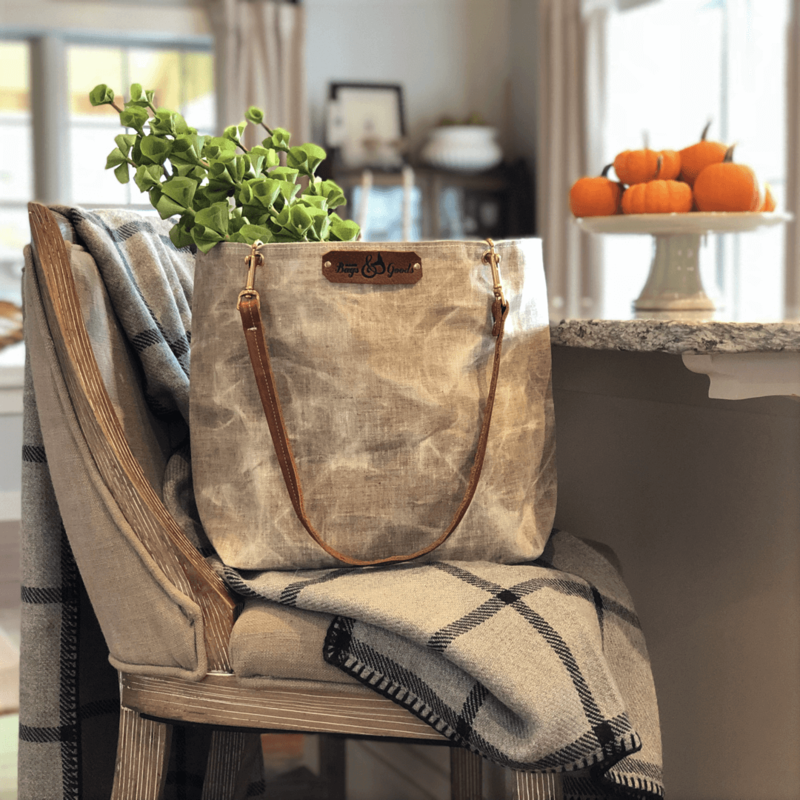 Your new bag will have a “worn” leather look as it is a free hand waxed fabric – it adds to the beauty and character of the bag. 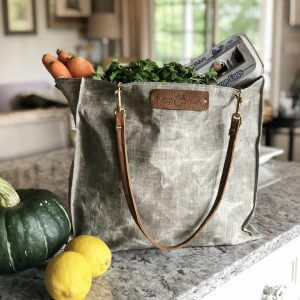 *Please allow 1-2 weeks for delivery as each bag is made-to-order, by hand, in my studio in Maine. 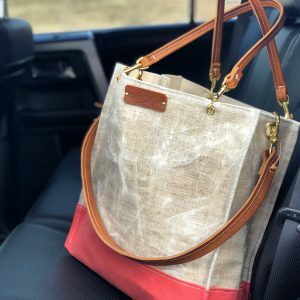 The process of cutting fabric and leather, printing, stitching, punching leather, pressing grommets, knotting rope and all other details are done by hand to create a beautiful bag especially for you.